Building a new workspace for your company is an exciting time, yet a significant investment in your business. We recommend taking plenty of time to review your decision before diving in, especially if you are on the fence about your next construction project. This is why we offer Feasibility Studies as a service to potential clients. If you’ve never taken part in a McCree Feasibility Study aka “McCree Preliminary Design Process”, you’ll find it is an excellent investment in personal research to help the members of your team come to an educated decision about the future of your building project. Even if you are sure you want to build, a Feasibility Study still might be a good next step. A typical Feasibility Study provides you with an estimated budget for the construction, a review of what is allowed to be built at the site, and what limitations the site may have for the project. The McCree Preliminary Design Process goes further to provide a regulatory review with any governing municipality, preliminary design of the project, an estimate, and a timeline schedule for completing the design and construction of the project. With all this information, you will be well equipped to determine if the project should proceed. First things first, is this project affordable for your business? It’s important to check and double check your financials to ensure that the investment of building a new space or even remodeling your existing space won’t be a financial burden to your business. But on the flip side of that, you’ll also want to take into consideration how a new space may have a positive impact on the financial state of your business. Perhaps your new building will give you the extra space you need to expand your team and grow your business. 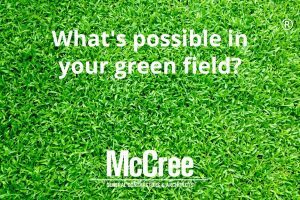 Either way, a McCree’s Preliminary Design Process or a Feasibility Study will give you a clearer understanding of how your plan positively or negatively impacts your business’ financials. Your team is the lifeblood of your business. How will a new space impact the sense of community you’ve worked so hard to cultivate? Many leaders think more space will automatically improve the quality of their team and culture, but that may not always be the case. If your team hums along with an extreme level of efficiency thanks to the small space they share, then great! No need to complicate what is working and spreading out may make communication more difficult. Or maybe your growing and adding more people. Expanding will provide the necessary space for the growth. Another consideration is how your staff work together. Is the layout and spatial relationships between departments efficient for the company and the team? When moving forward, perhaps the model of team members working in open, shared workspaces will be effective and could be recreated on a larger scale. Every business is different and what works best for your team and company should be considered before starting your project. Does undergoing a new construction project make sense for your business at this time? Maybe you’re imagining that with more space you can hire more people and increase productivity, expand to new markets, and quadruple your sales. If that’s the case, we’d say, “full steam ahead!” But a feasibility study will help you discern whether you’re ready for that next big step, or whether that step is another 3-5 years out. Taking into consideration the healthy growth of your business is a great indicator of whether or not you’re ready to move on this new construction project. 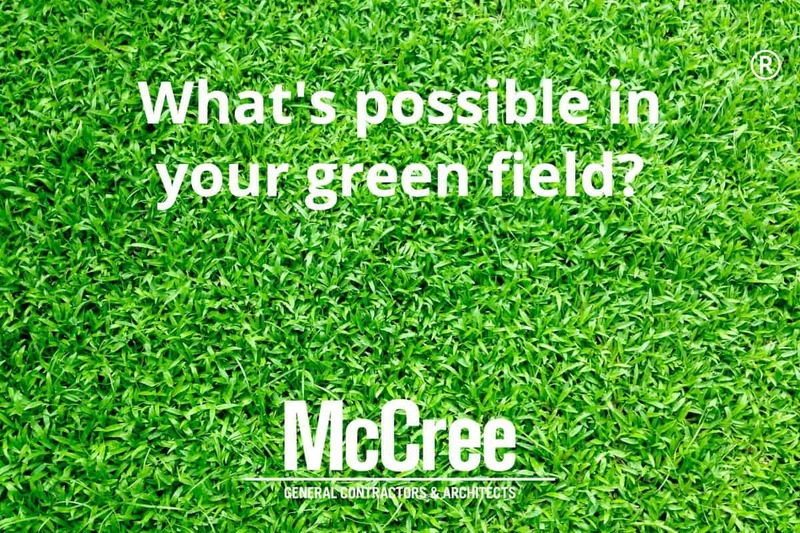 Investing in McCree’s Preliminary Design Process or a Feasibility Study will help you make an informed decision about whether or not your company is ready to take on a new construction project. And what’s better than arming yourself with information to make you feel confident about your next steps? If you have questions about Feasibility Studies or want to know more about our Preliminary Design Process, send us a note. We’d be more than happy to discuss.